Social media advertising on sites like Facebook has become a common strategic play for franchisors, who are seeing both brand awareness and lead generation campaigns work well there. But for individual franchisees, buying social ads — let alone video advertising — it can be intimidating with all the strategic nuances, creative assets and copy required, and budget to consider. While you may not have realized it, one of the most popular social networks — and one of the more advantageous for franchise advertising — is YouTube. Not sure if YouTube is for you? Here are five things you need to know before making YouTube part of your franchisee media mix. 1. Who’s using YouTube? Google’s video-sharing site BEATS competitors like Instagram and Snapchat for usage, with nearly three-quarters of U.S. adults using YouTube in 2018, according to the Pew Research Center. Gen Z and Millennials are heavy users and are increasing their time on the site. 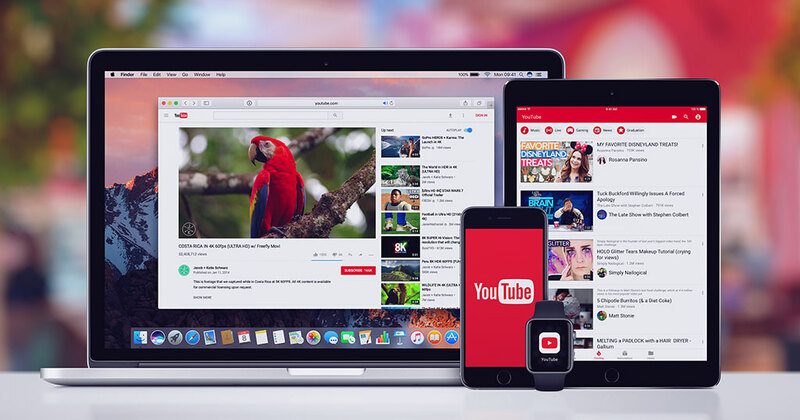 In a survey by VidMob, 59 percent of Gen Z responders reported watching YouTube more in the past year than before; 46 percent of Millennials said the same. 2. What are they watching? Video content on everything from do-it-yourself explainers to music to influencer vlogs and product reviews captivated around 192 million users in 2018. Those users like or don’t like, comment, share, and discuss just as with other social media sites. While music videos, movie trailers, and tutorials/educational videos pull in the most views, the 8th most popular content viewed is video created by a brand, at 23 percent. Trueview in-stream ads. These videos are displayed before a user’s selected video. After five seconds, the user has the choice to skip the ad or keep watching before their chosen content is played. The ads can be anywhere from 12 seconds to a few minutes. It’s important to use a strong CTA (call to action) encouraging viewers to click and go to your site for more information — and possibly take further action, like completing a contact form or calling the location. Bumper ads. Bumpers are video ads lasting a maximum of six seconds that play before the viewer’s selected video content. Unlike in-stream ads, users can’t skip them. Seconds go by quickly, making it mission-critical to pique interest in a flash and focus on conveying a single message. While bumper ads can be run on their own, Google will tell you it’s a good idea to run them with TrueView ads. TrueView video discovery ads. These automatically generated or custom thumbnail ads show up next to the organic video results on the search page, and can be seen on the actual watch page where users are playing their selected video. The ads include headline and copy that link to your video on the site, and can also be seen as overlays on the watch page videos. 4. What about franchisors? While small businesses can go it alone with $10 a day minimum spends on YouTube, franchisees must check their franchise agreements and brand guidelines. Brands often have established programs managed in-house or in partnership with a media agency. The programs can be nationally focused, and may also provide franchisees with the opportunity to participate in approved, locally focused campaigns using their assets. 5. Does YouTube advertising work? Trick question! Like any media buy, success depends on the strategy: targeting, content, CTA, and budget, for example. The more in sync you are with your brand’s messaging and the local community your ad is targeting, the better your chances. You can work directly with Google to buy your ads. Or, if your brand has a national media agency relationship, you may be able to speak with the agency consultants directly to get more personal help. One last thing to be aware of, and something franchise brands are specifically mindful of, is brand safety on YouTube. The site has a history of publishing ad content on pages with questionable or blatantly offensive content. While Google has taken steps to better police their site, making new instances very rare, the risks are there. The best thing franchisees can do is ensure they understand their franchisor’s current strategy and policy on use, partner with them where possible, and then determine whether their own local campaigns make sense. Andrea Brandon, vice president of marketing and creative services at Mindstream Media, is a student of the digital space and works across the organization and its partners to develop campaigns that generate leads for both the agency and its franchise clients.